My dear genealogy mentor Deb came to the rescue again. Our purpose was trying to find out more about the Gillick links. Mother of the Camlot children was Etta/ Adel Gillick and father was Israel Kamlut ( Camlot ). Israel Camlot's birth name was Reich or Rich. To avoid going into the army, he was adopted by a Kamlut couple who didn't have any children. When his children came to North America, they changed their name from Kamlut to Camlot. We were trying to find the Ocean Crossing Records for the oldest two Camlot brothers, Charles and Sam. Realizing that their name was Kamlut when they arrived, I tried Kam*, opening the search to many spelling possiblities. Deb wrote, "I searched the Canadian Passenger Lists for anyone whose name was Kam*t. Then I looked at everyone who was in the right age range even if it said something like Kambert. A name that is misread by the indexer can still be right for us." I learned that adding the *t to the Kam, came up with the records. The indexer had put "Kambot" for oldest son Chaim ( Charles ) and" Kambert" for son Shmel ( Sam ). We just learned these 2 names of Chaim and Shmel. 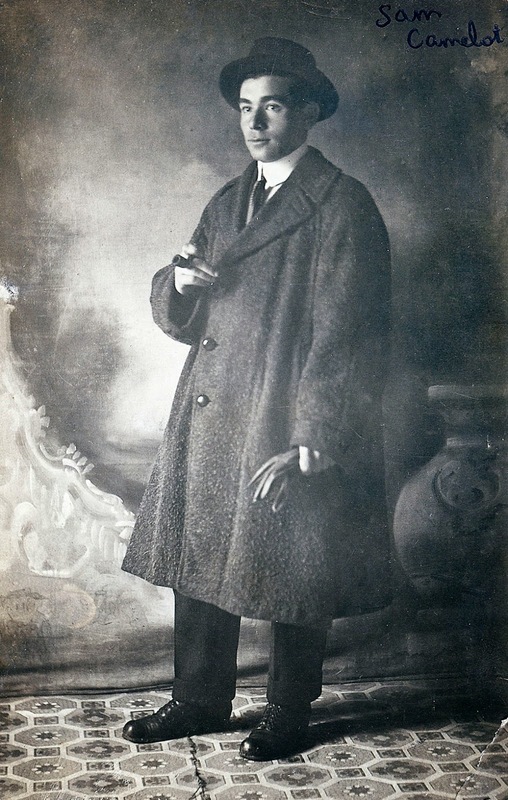 Chaim ( Charles ) sailed at the age of 18 from Antwerp, Belgium on the ship S.S. Montezuma and arrived in Quebec City, 15 Jun 1909.
on the ship S.S. Canada and arrived in Quebec City, 15 May 1910. Charles Camlot's date of birth on his US WWII Draft Registration is 15 Jul 1893 in Ostropol. I was told that his nephew Charles, Sam's grandson, born 6 Feb 1953, was named after him. That would mean that Charles died before this date. Charles' granddaughter, Charlene was also named after him. 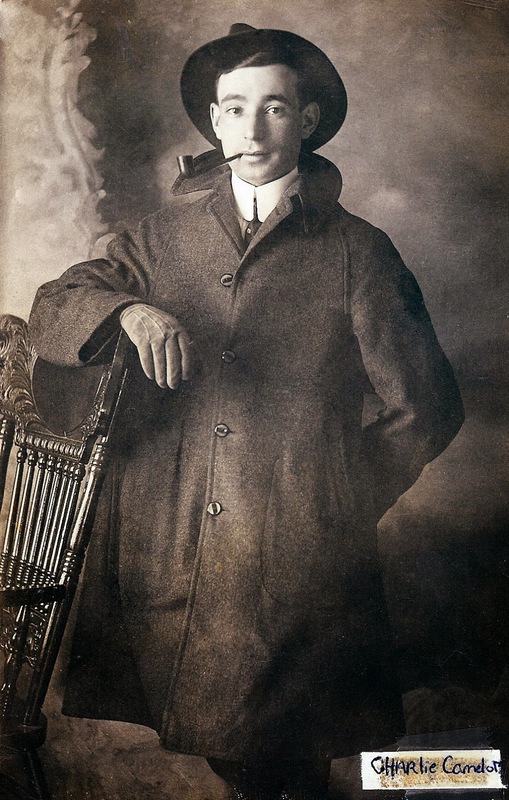 He married his first cousin Rose Lillian Rich 12 Nov 1919 in Wilmington, Delaware. Rose ( Ruchel Layah Reich ) was born 24 Dec 1898 in Prokurov, Russia and died 22 Sep 1965 in Philadelphia, Pennsylvania. Sam Camlot was born 15 Jun 1894 in Ostropol and died Aug 1967 in Philadelphia, Pennsylvania. 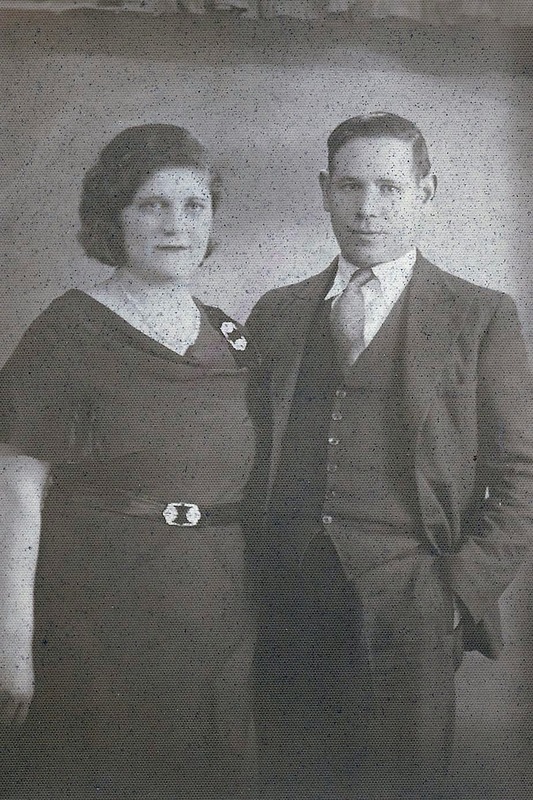 He married Betty ( Rebecca ) Singerman who was born 14 Jul 1903 in Montreal, Quebec and died in 1995. Sarah Camlot was born about 1896 in Ostropol and died 8 Oct 1959. She married Eli Saltzman in 1917. Fred ( Fridel ) Camlot was born in 1897 in Ostropol and died 4 Aug 1964 in Montreal, Quebec. He married Fanny Gillick, his cousin, 15 Sep 1933 in Montreal, Quebec. Fanny was born 22 Jul 1909 in Salnitza, Ukraine and died 6 Dec 1981. Sophie ( Sosie ) Camlot was born between 1894 and 1897. Each record has a different date of birth, from the NY Passenger Lists ( 1884 ), the 1940 US Census ( 1884 ), US Naturalization Records (1885) to the 1921 Canadian Census ( 1887 ). She died 23 Jan 1962. Sophie married Samuel Cohen in 1935 in Philadelphia and was divorced before 1940. In the 1940 census, she was listed under her maiden name and was living with her sister Sarah and her husband Eli Saltzman. Eva ( Chawa ) was born 1899 in Ostropol ( Ocean Arrival Record ) and 1904 ( 1940 US Census ). She married Carl Nitkin 21 Nov 1929 in Montreal, Quebec. Carl was born 5 May 1895 in Swisslech, Russia and died 1 Jan 1950 in Philadelphia, Pennsylvania and was buried in Glenolden, Delaware County. Jack ( Yankiel/ Yaakov Asher ) Camlot was born 16 Jan 1900 in Ostropol and died 18 Jan 1960. He married Gertie Grosser 9 Jul 1933 in Montreal, Quebec. She was born 21 Apr 1904 and died 23 Apr 1974 in Montreal, Quebec. Eva, age 22, and Jack, age 21, sailed together from Antwerp, Belgium on the ship S.S. Sicilian and arrived 21 Jun 1921 in Quebec City. They were heading for their brother Sam, 31 King St, Sherbrooke, Quebec.